February 1st 2016. 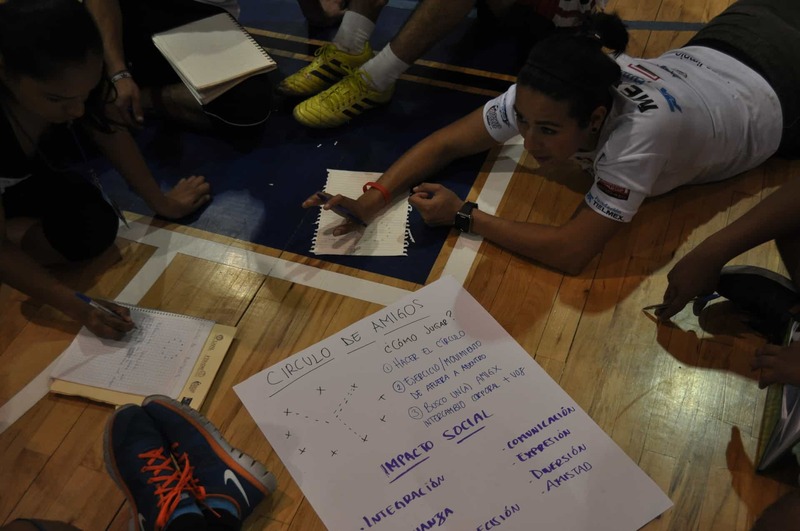 CAC SDL coach Rubén Alvarado writes from Monterrey about our work there with Street Soccer Mexico. “When I was a kid, all my problems would fade away when I touched the ball. It was like entering into a dream, I forgot about everything, all that existed was me, my friends and the ball…like living in a different reality”. “La pelota no se mancha” (The ball does not stain) said Diego Armando Maradona, after admitting he had made mistakes and “paid” for the consequences in his career as a footballer. He made it clear that, no matter what, the opportunity for human beings to find their wonder through the game, remained untouchable. I heard the words that start this blog 2 years ago, in my first encounter with the concept that would enhance the transformation in my perspective on Fútbol: Sport for Social Impact. I attended a CAC training as a participant and heard my good friend Joshua Alí (from Street Soccer México) say them in such a sincere way that, even tough he might not remember that moment, they’ve stayed with me until this day. The Ball has the capacity to enable the creation of new realities, just like it happened to Joshua during his childhood. I wanted to play that game as well. “Look Hooch, there you can see El Cerro de la Silla (The Saddle Mountain)” I told my friend and SDL Coach Turner Humphries, with that eagerness one feels when wanting to to share a treasure (the beauty of my motherland) on our first day of training when we walked outside the High Performance Center of Universidad Autónoma de Nuevo León, our home for the week. In the past two years we worked with Street Soccer México in México City, but for this year’s training they made a visionary partnership with the School of Social Work and Human Development of UANL (the largest University in Nuevo León). 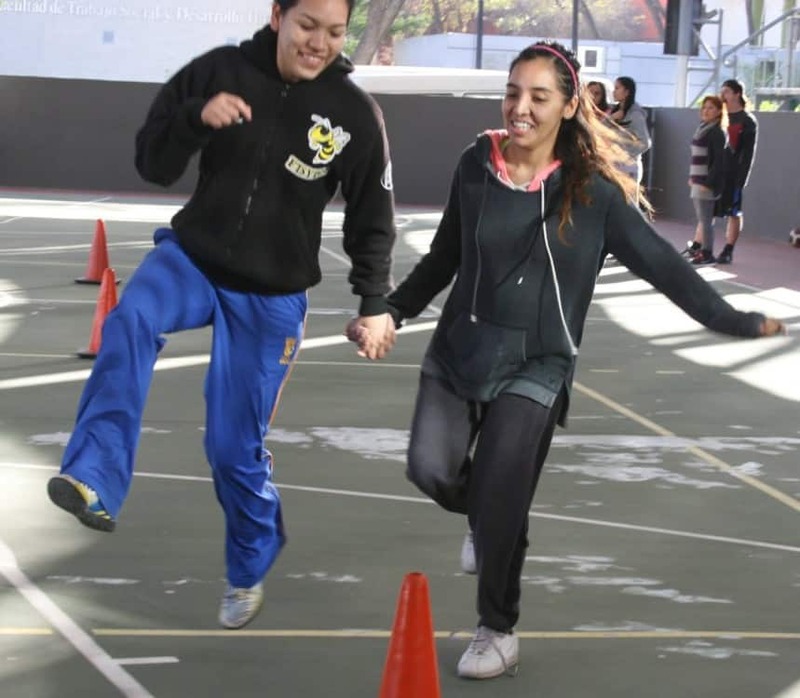 The two organizations aim to impact the life of hundreds of thousands of kids and youth in Nuevo León, México City and other states like Oaxaca and Chihuahua, through the professionalization of the work that teachers, sports coaches, social workers, leaders of civil society, etc. do towards transforming and healing their communities. Our participation in this project consisted in offering efficient and fun tools, practices and techniques on field that would complement the brilliant theoretical part that the University’s academic authorities provided for the participants. After completing the course, besides CAC’s certification, they would also receive the title of Entrenador Social (Social Coach) from SSM and UANL. During the training we worked with experienced participants in community sustainable transformation, including social workers, people from the state security department, sports for social impact coaches and social work and human development students. We dived into deep and rich moments of dialogue in which we reflected on how through every personal story (from the specific work everyone did in their communities) a larger, heavy on the back of the optimists and dreamers, social decomposition showed. The anger and sadness that people in Mexico feel about financial poverty, insecurity and violence equals their sense of incapacity to do something about what causes them. How do we, a group of people wanting to change that face of reality, deal with this scenario? Knowing what hurts does not help us identify and understand our problems and their roots, nor give us the capacity to solve them once we see and comprehend them. We agreed that sometimes we don’t know how to do it, and one of the best things that we can learn consists in knowing how to not know. When in uncertainty, what should one do? Not listening to the same voices that command reality as we live it today, we must come together, ask and explore, but mainly listen, listen to the Human Being before culture, tradition or duty, they said. CAC’s Education for a Changing World creates spaces where people acknowledge the unknowability of the future as something given, while at the same time develop perspectives, skills and behaviors that would enable them to create it. “The meaning of life is to make meaning of it”. Having come back to México helps me reconnect with the pain and the joy that the country, my country, experiences today. After a vibrant week with people that intend to become peace ambassadors in turbulent times, my feet feel ready to keep walking with them to create paths of manifest freedom in which The Ball doesn’t serve to step out of what impoverishes humanity, but simply, to celebrate the life our hearts whisper we can live.